Through dedication and faith, we have diligently cultivated the field of cutting tools for two decades. After overcoming countless difficulties and obstacles, the TDC team has laid a solid foundation on the path to achieving our goals. Because of our deep love for the industry and a true belief in our future, we have committed ourselves to the cutting tool industry despite the lure of the “quick buck” in other businesses. As a result, when other companies suffered greatly because of increasing costs during the recession, TDC completed corporate mergers and acquisitions around the world. Also, thanks to this strategic decision, when orders abroad slow down, TDC continues to steadily grow feeding on increasing domestic orders. This global structure has equipped TDC with a unique set of advantages: high quality product lines, large market share, complete supply chain, experienced R&D team, recycled resources and reduced cost. When peer companies in China had just begun to go global, TDC had already become a profitable multinational company…… This is TDC and the TDC team, a committed and energetic workforce who, together, has achieved these goals. Starting with few resources as a Chinese private enterprise, we have overcome many obstacles. Today is a milestone. 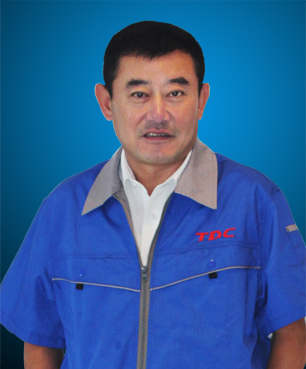 Having set our principles and guide lines, that we are more committed and better equipped and experienced, TDC and its team embark on our journey to a brand new future. It is satire for China to import numerous high-end cutting tools while being the biggest supplier of tungsten ore, an important raw material for high-end cutting tools. We understand that our responsibility is both heavy and significant. We are journeying into a future filled with opportunities to make positive contributions to the tool industry worldwide!